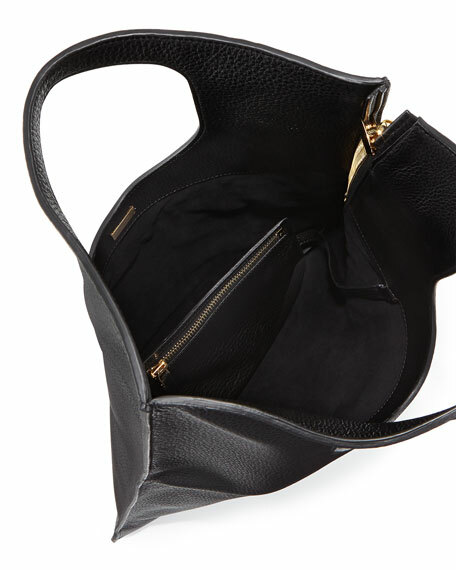 Black pebbled calfskin bag with Tom Ford signature golden hardware. Fold-over top with cutout shoulder straps; 7" drop. 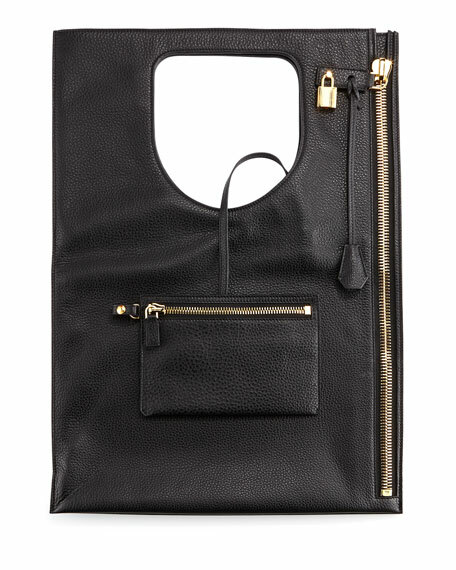 Functional zip down side with padlock and hanging key charm. 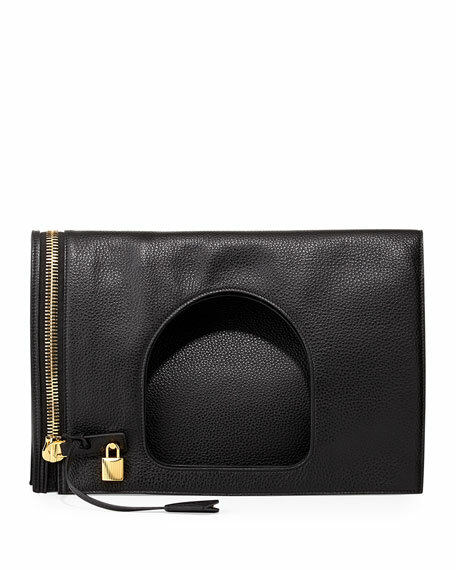 Removable zip pouch; 5 1/2"H x 8"W.
22"H x 16 1/4"W; 11"H when folded. "Alix" is made in Italy.